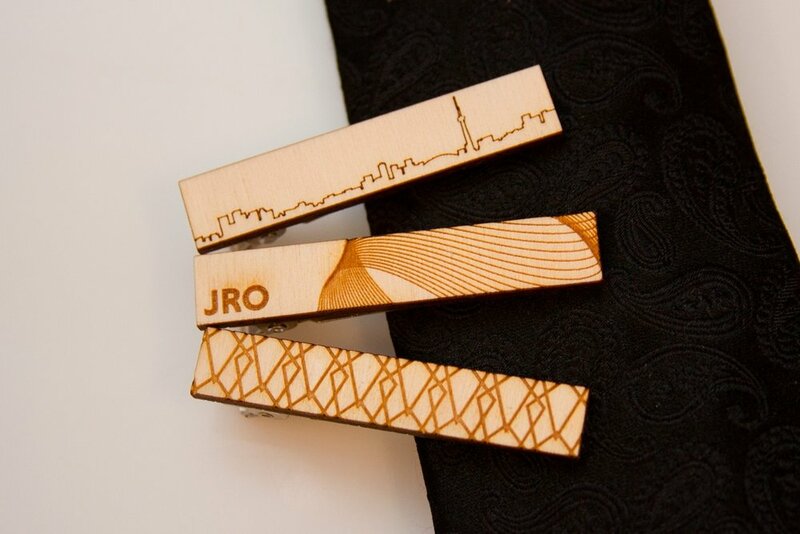 Lapel pins, Tie-clips, pendants, bow ties, cufflinks and shoe tags designed by guests and made on-site. We bring an architecture-grade laser cutting and engraving machine on site to your event. The machine can cut through sheets of wood and engrave metal and glass. 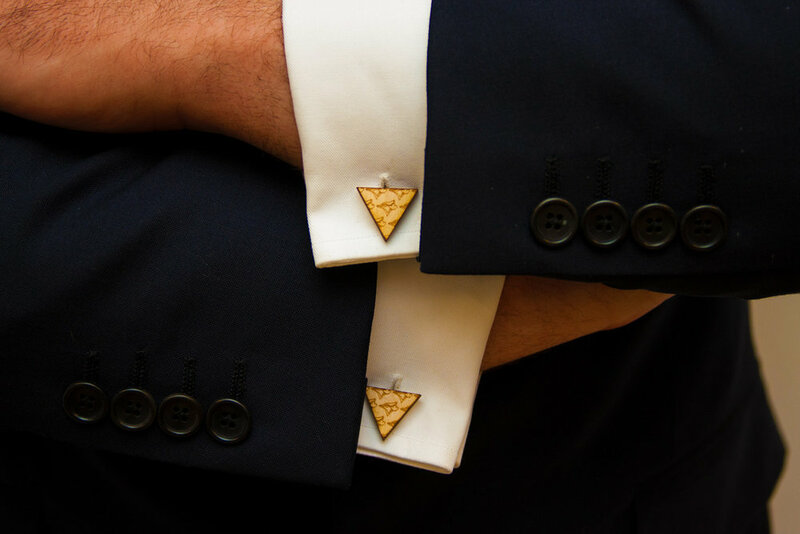 For this experience we use it to create custom fashion items like pendants, cufflinks, tie-clips, bow ties or nametags. 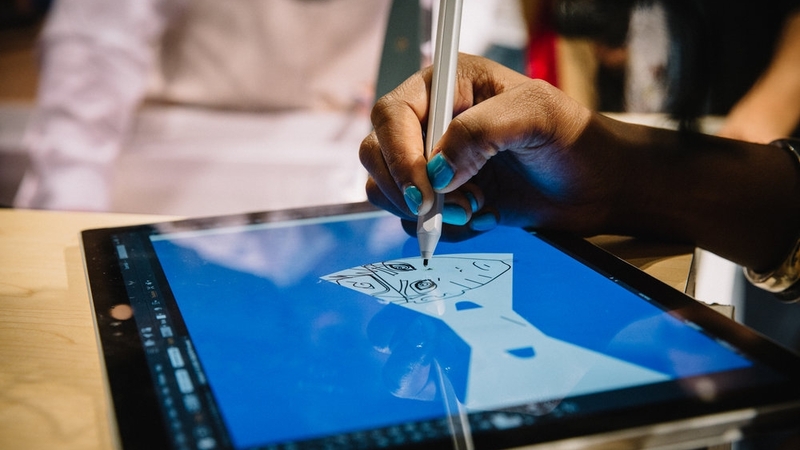 Guests are greeted by the MakeLab design team, and guided through a design experience on our sleek design tablets. Guests can design freehand, or drag and drop from templates themed to your event or brand. When ready, designs are sent to the laser where guests watch as their wearable is laser-fabricated into a gorgeous piece they can wear right away. NEW -- Pins are in and we see them everywhere. Let’s kick it up a notch with customized on-site pins for bags, jackets or lanyards; the possibilities are endless.